Last month, we shared some tips to help you identify signs of foundation damage before it becomes severe and requires major repairs that could limit your financial freedom in the future. This month, we’re going to share a few easy, but extremely effective ways to prevent foundation issues from occurring in the first place. After all, an ounce of prevention is worth a pound of cure! Clean your gutters at least every six months. If you’ve followed us for any amount of time on Facebook or Twitter, you’ve probably seen us preach this common-sense pointer again and again … and again. By cleaning leaves, pinecones and anything else that falls from above your home out of your gutters, you’ll ensure that water flows freely to (and through) your downspouts and away from your house. 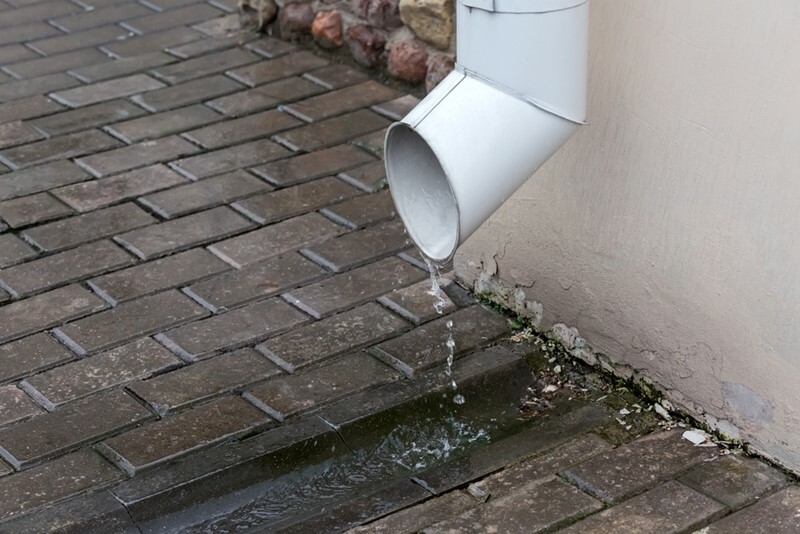 But if you ignore semi-annual cleanings, you’ll promote accumulation of nasty gunk and debris that will render your gutter system useless by forcing water to overflow into the ground that surrounds your foundation. Try setting a semi-annual calendar reminder on your smartphone to keep your cleaning schedule on track and your gutters functioning as they should. Tip: Consider using gutter guards to keep debris out and save cleaning time/money. When we respond to calls related to flooded basements and/or foundation issues, we often see downspouts that are too short and fail to carry water far enough away from the foundations they’re meant to keep dry. Ensure your downspouts carry water at least five feet away from your home; if needed, you can add extensions and other attachments, such as hinges, that help you move water a safe distance away, and allow you to conveniently move downspouts off to the side if you need to transport a vehicle or lawnmower past them. Tip: if you’re using a splash block, ensure it slopes away from your house, especially if it’s sitting on grass/soil that may sink over time. Strive for a passing grade. One of the simplest and most effective tools for diverting water away from your home’s foundation is the very substance that surrounds it: dirt! Ideally, the ground around your home should drop two to three inches every 10 feet to keep water flowing safely away from your home. Remember to be mindful of soil erosion and maintain as needed! Questions about foundation damage? We’re here to help. If you’re a homeowner in Michigan and you think your home’s foundation may be damaged, or if you have questions about how to best navigate the foundation-repair or insurance-claims processes, our team of water and flood restoration experts can help. Get in touch with us 24/7, 365. We look forward to speaking with you soon!